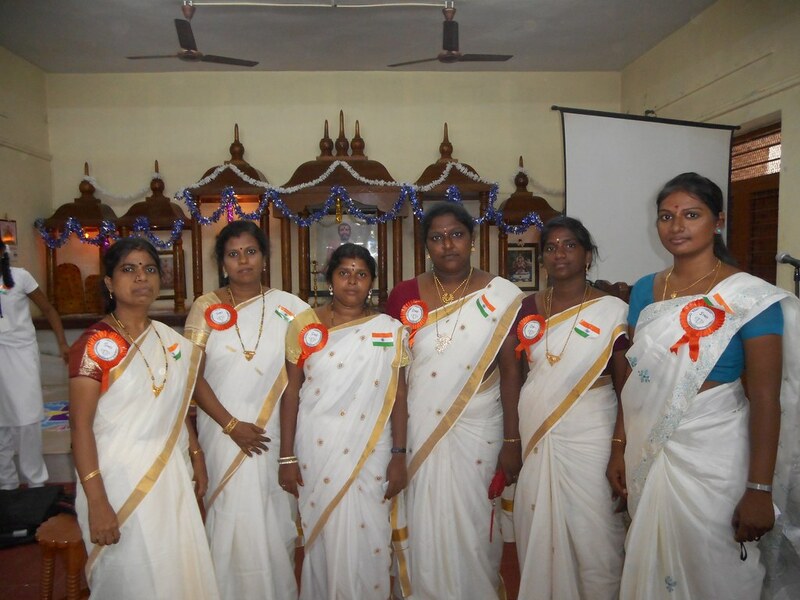 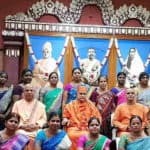 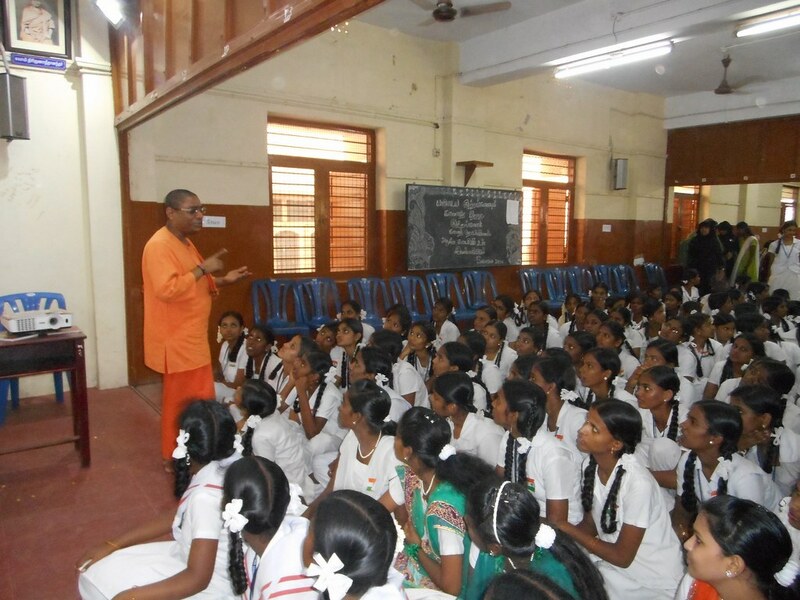 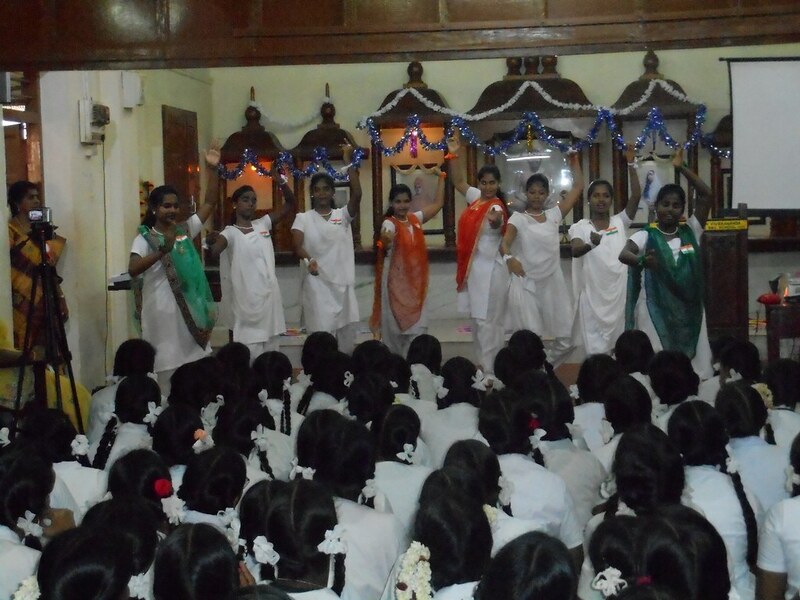 Alumni Day was celebrated on Friday, the 15th August 2015 at Sri Ramakrishna Math Vivekananda Centenary Girls’ Higher Secondary School. 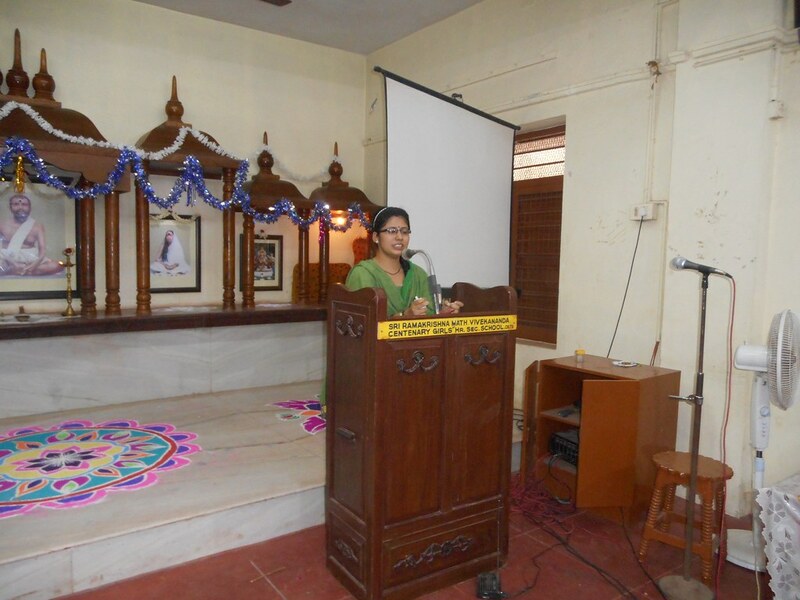 The function began at 11.00 am with a Prayer. 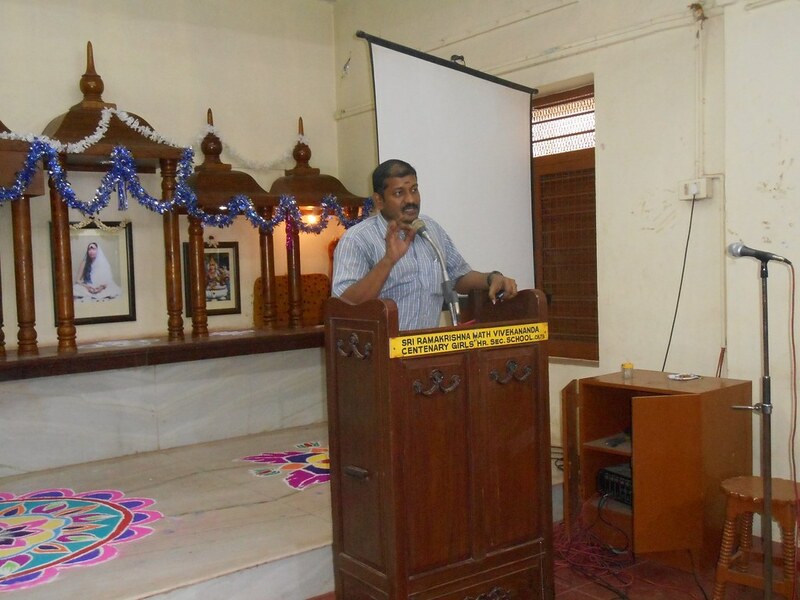 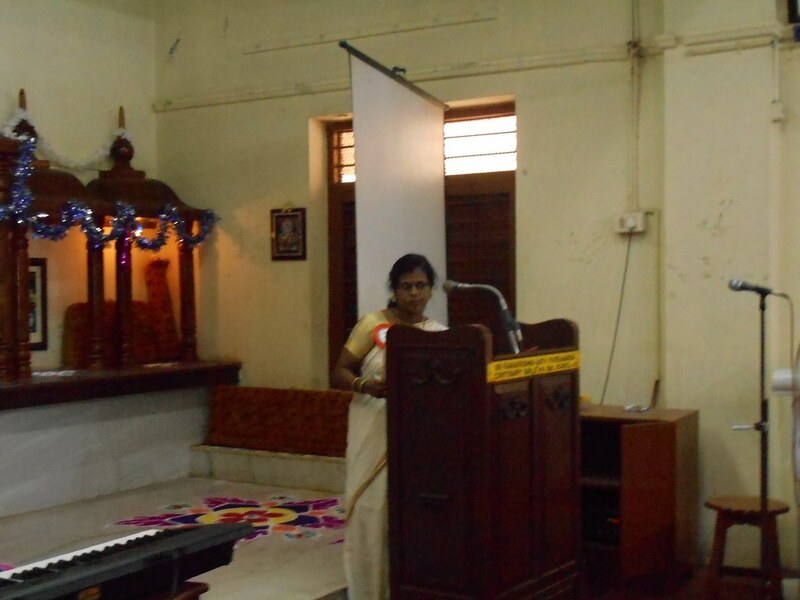 This was followed with a Welcome address by Smt. 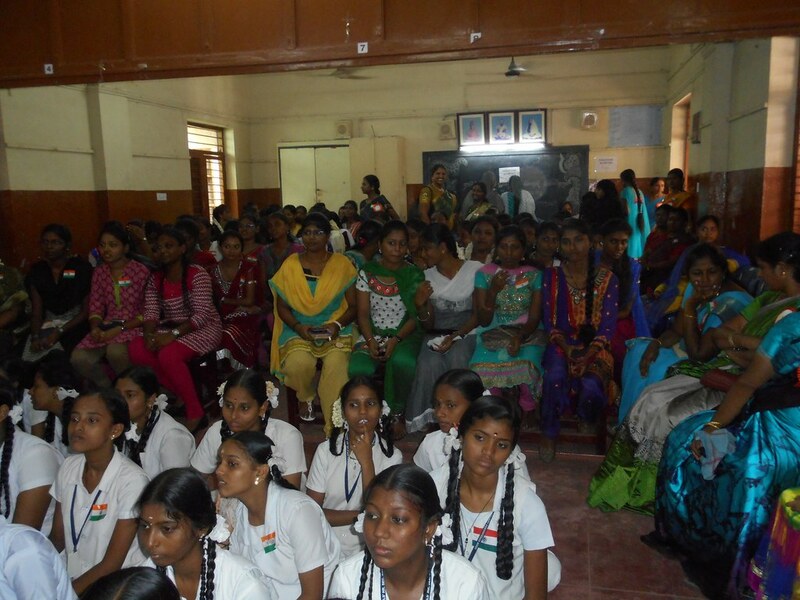 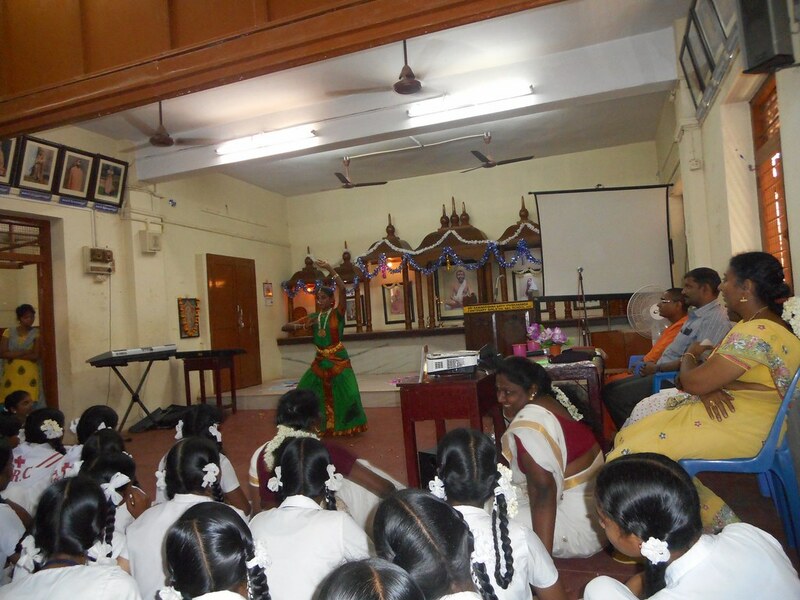 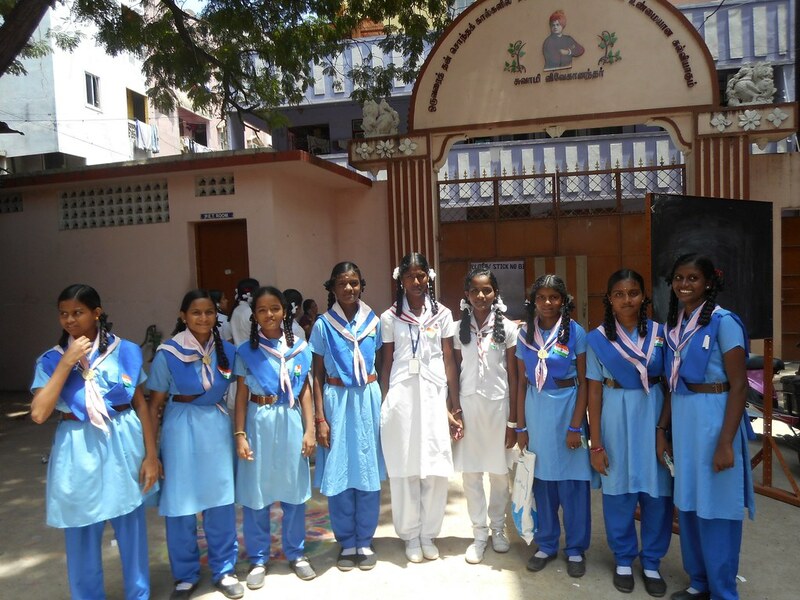 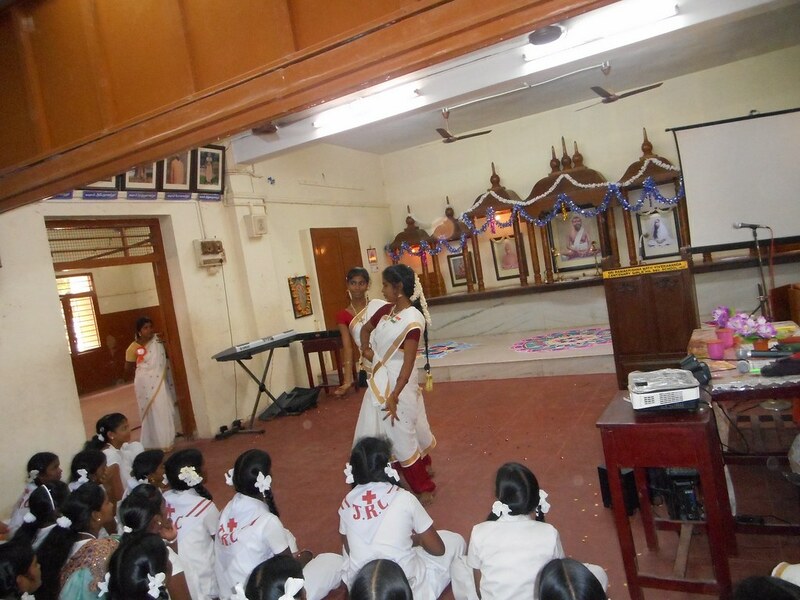 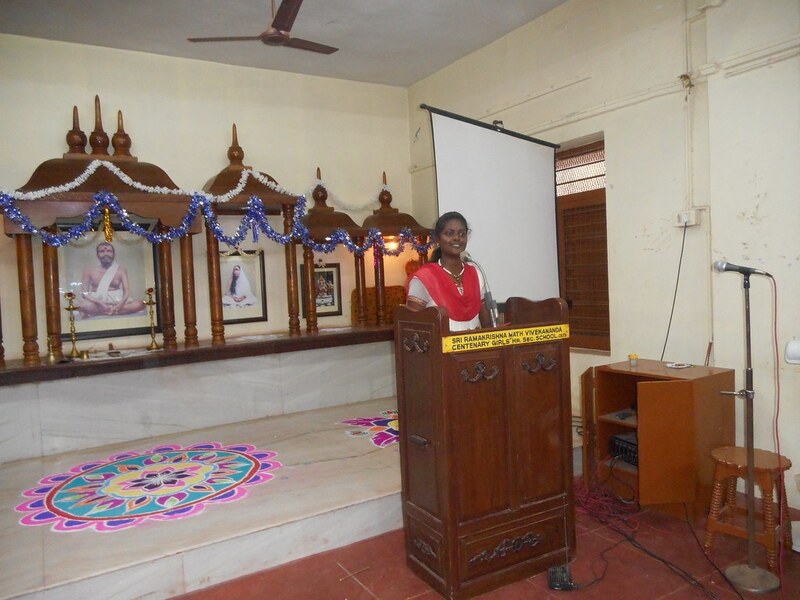 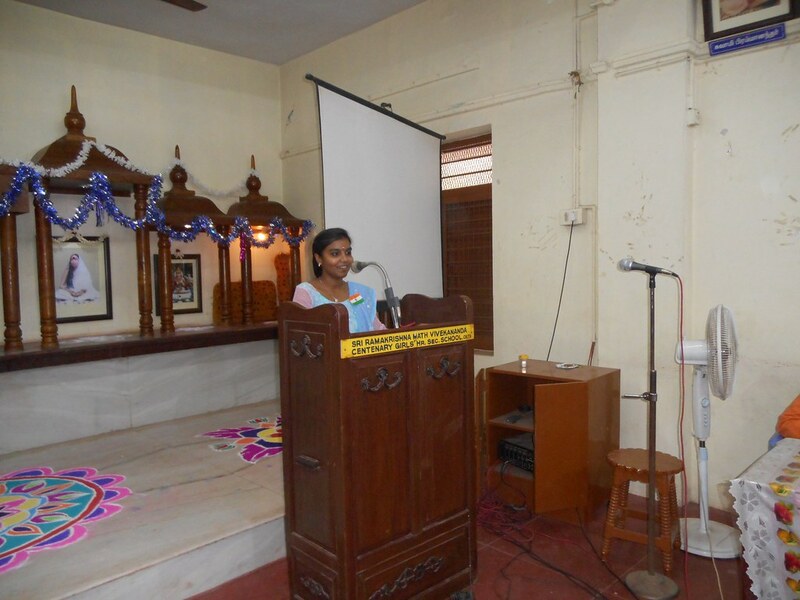 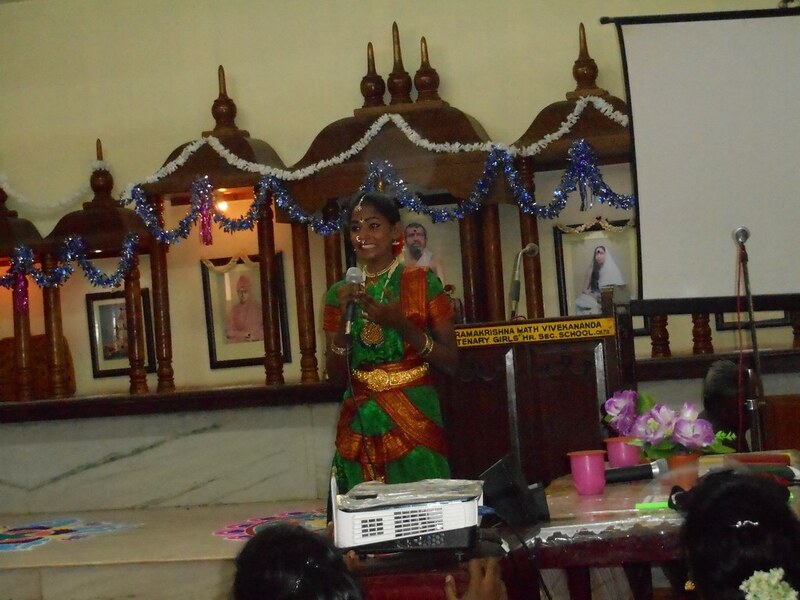 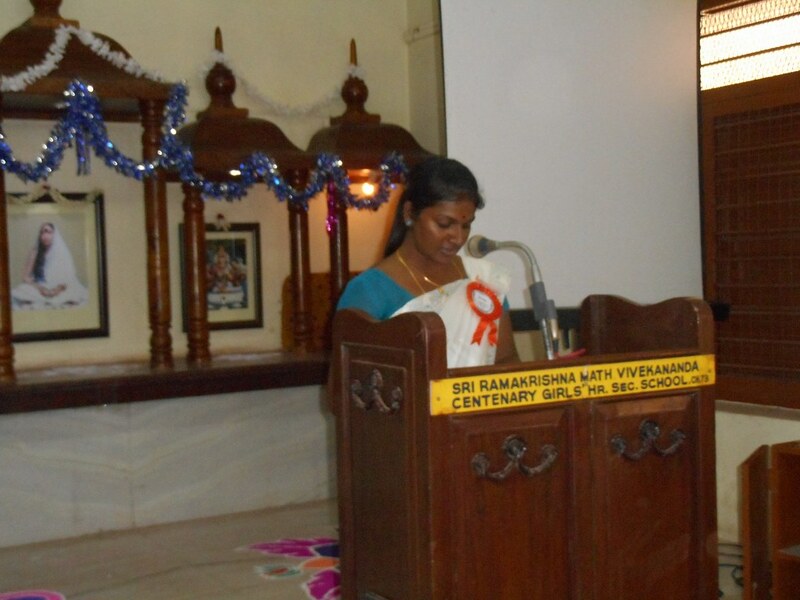 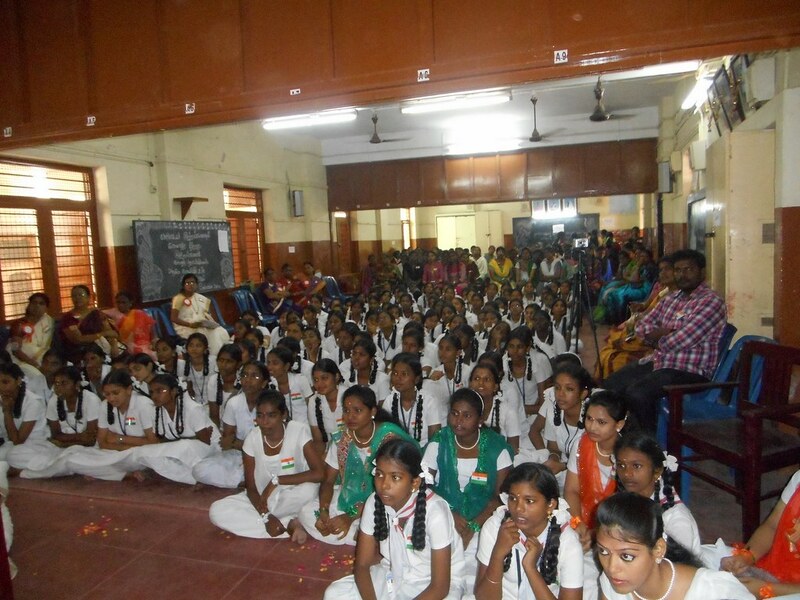 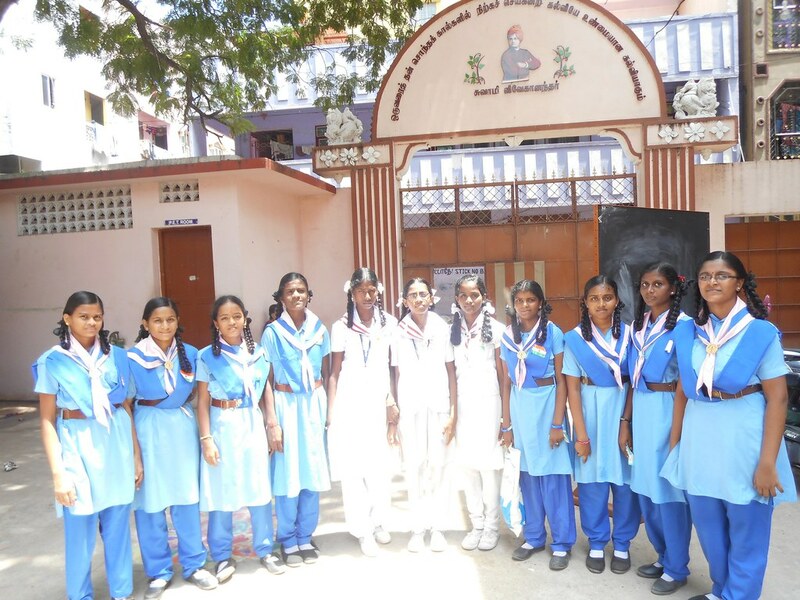 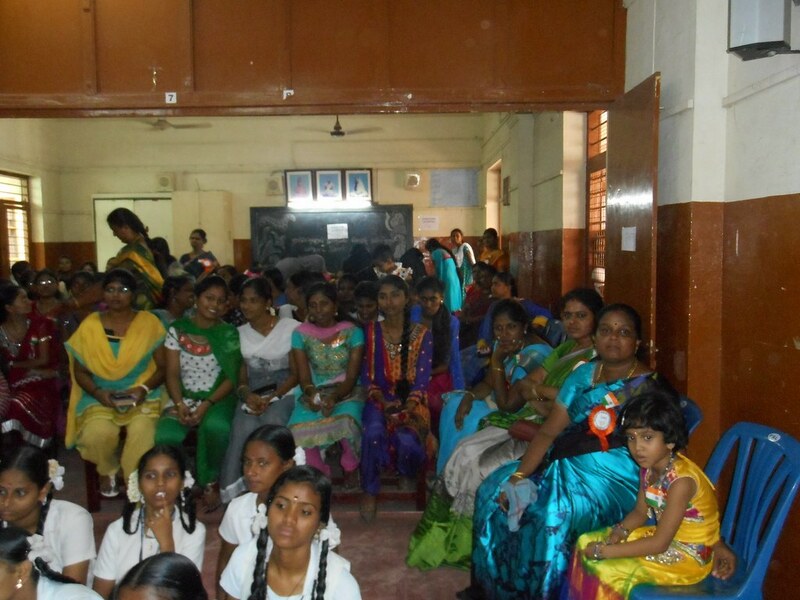 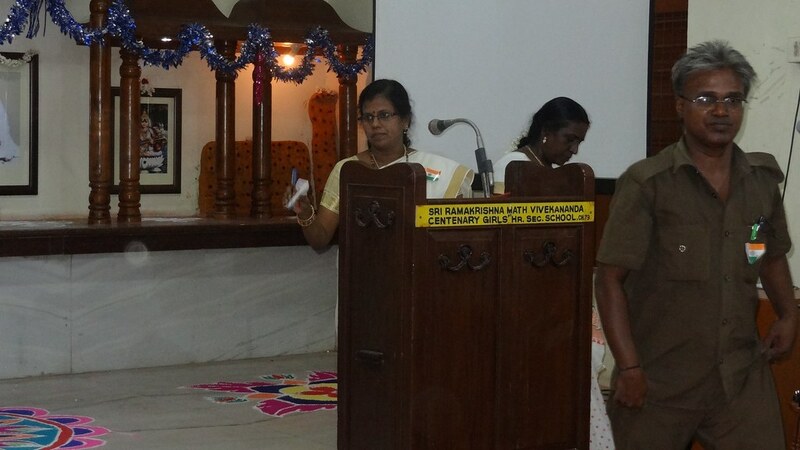 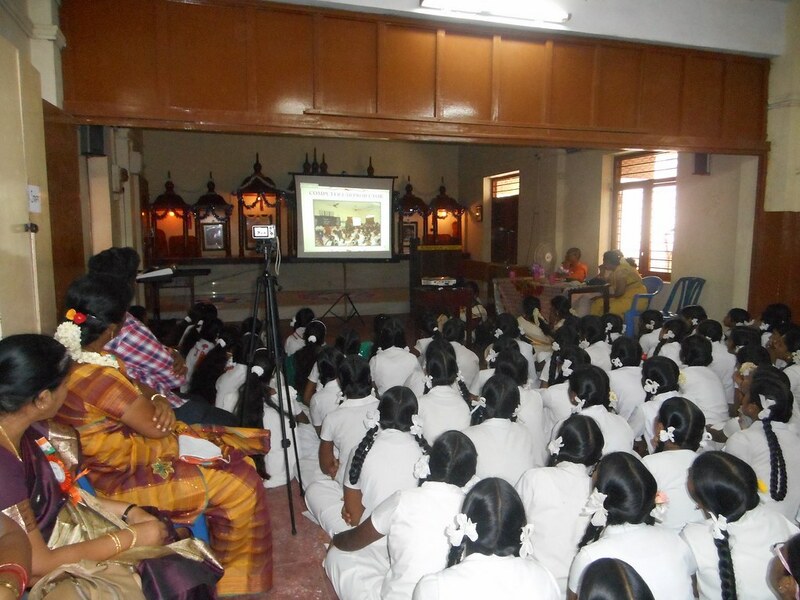 K. Dhanalakshmi and speech by the Headmistress. 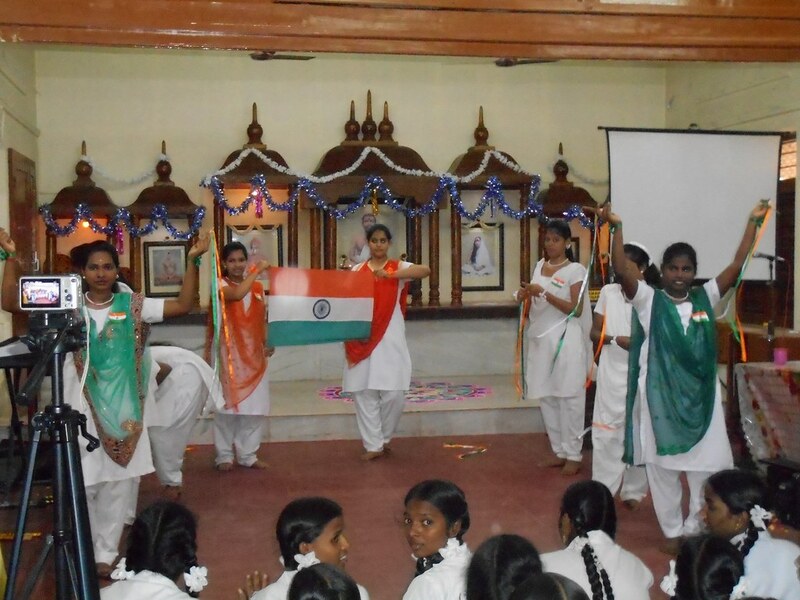 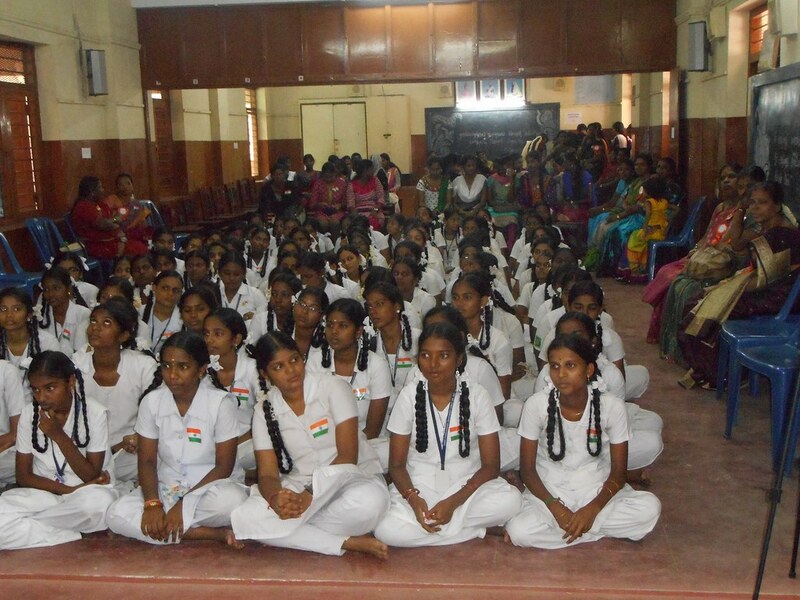 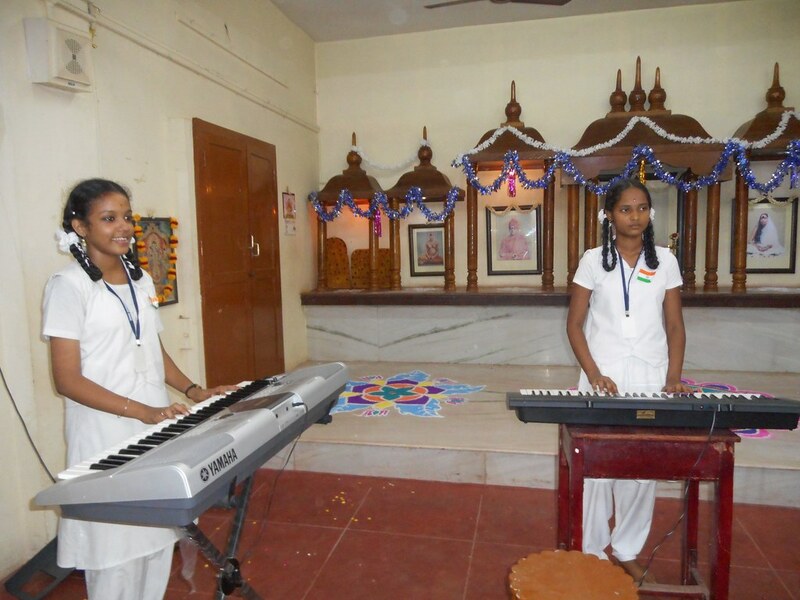 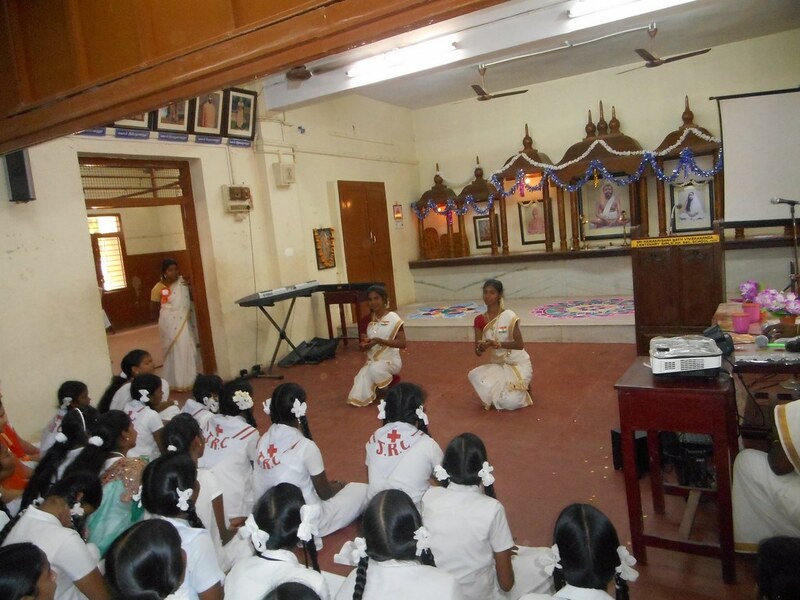 School students performed a Dance for a patriotic song. 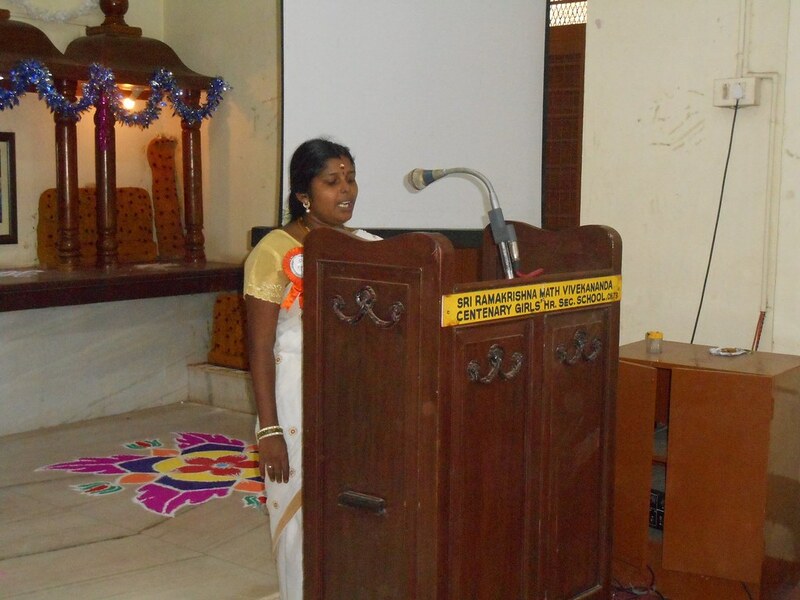 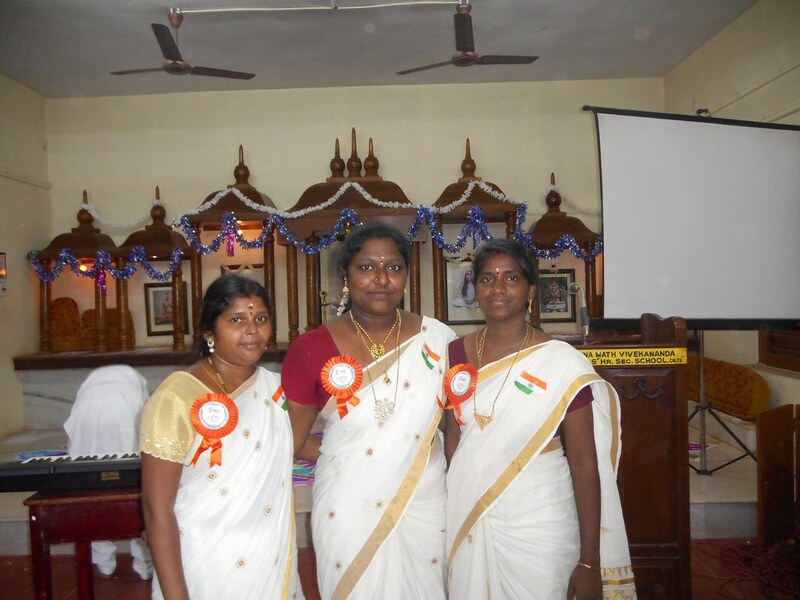 A Powerpoint presentation [Based on the idea of Selvi D. Bhuvaneswari, Smt. 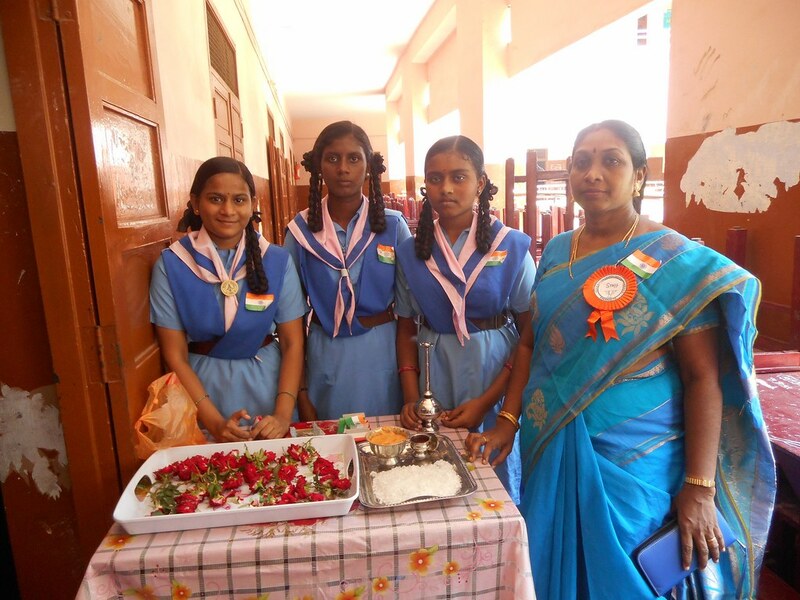 K. Dhanalakshmi and Smt. 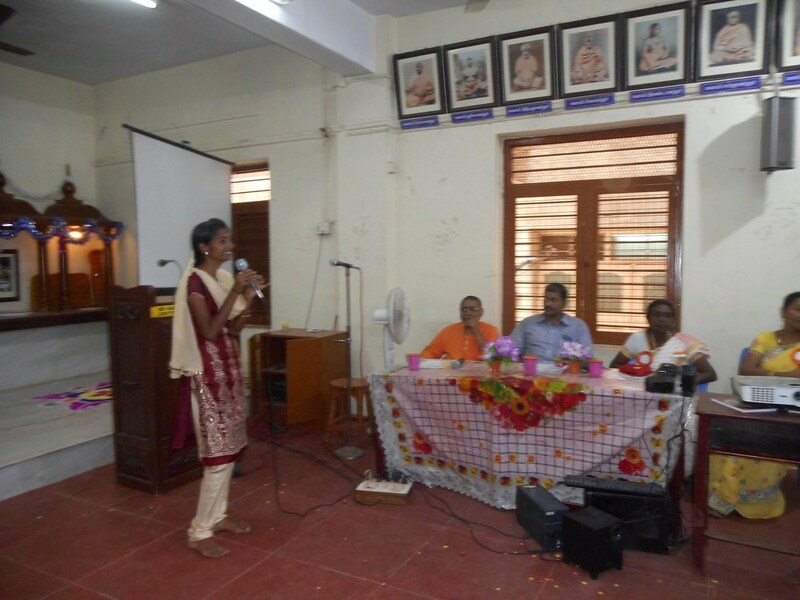 P. Aswini ex-students and working with our School] on the development of the School was presented from the day of inception in 1962 was shown to the old as well as the present students. 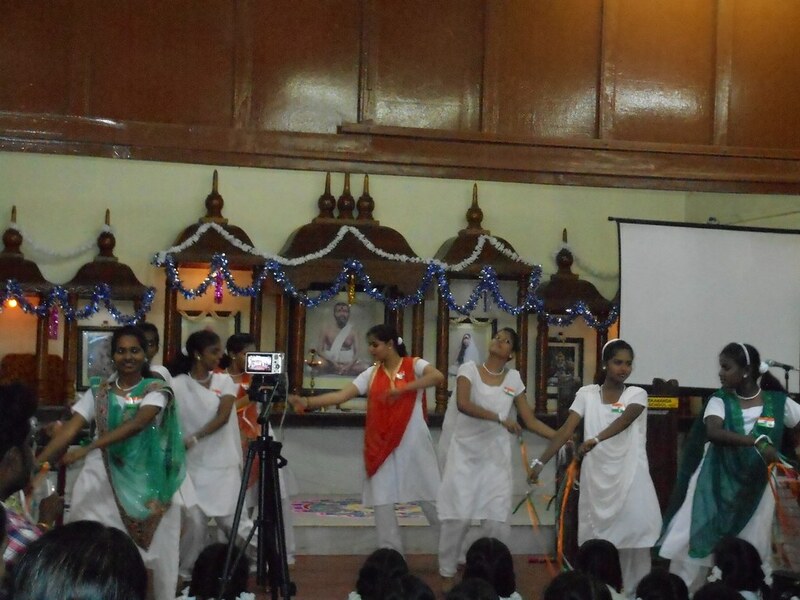 2 more dance programmes were performed by the old students. 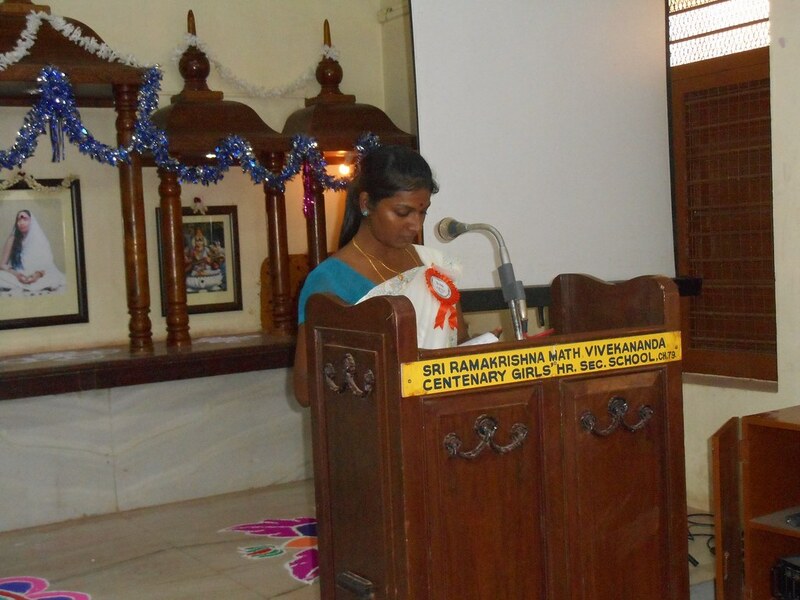 This was followed by an address by the Assistant Headmistress. 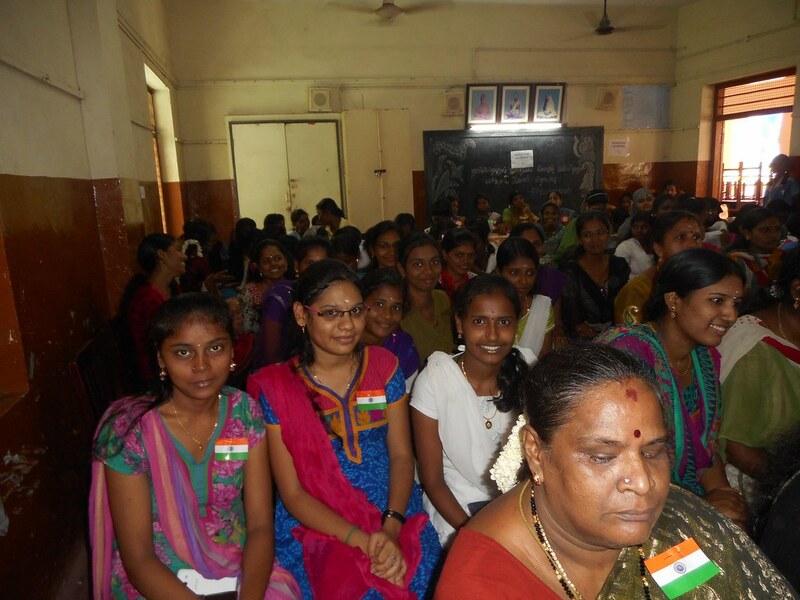 Around 88 old students participated. 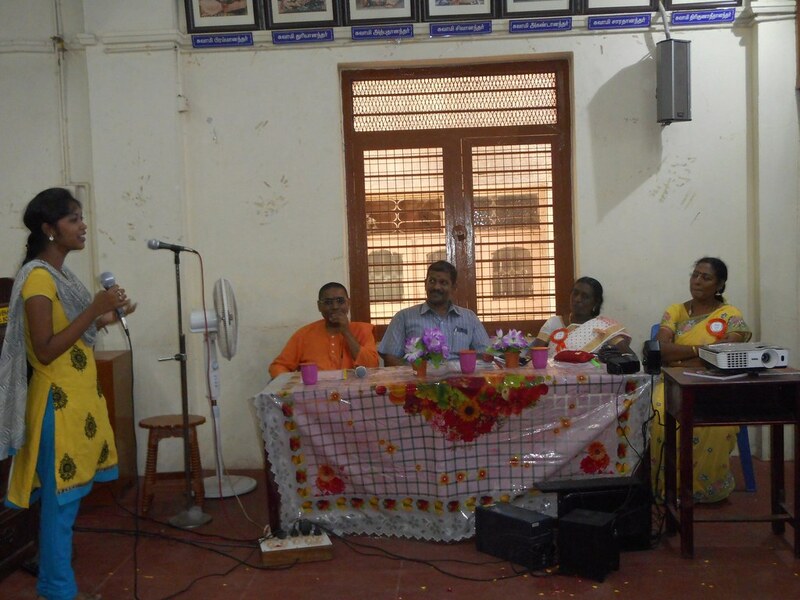 Old students and retired Teachers shared their views and experience recalling the old days. 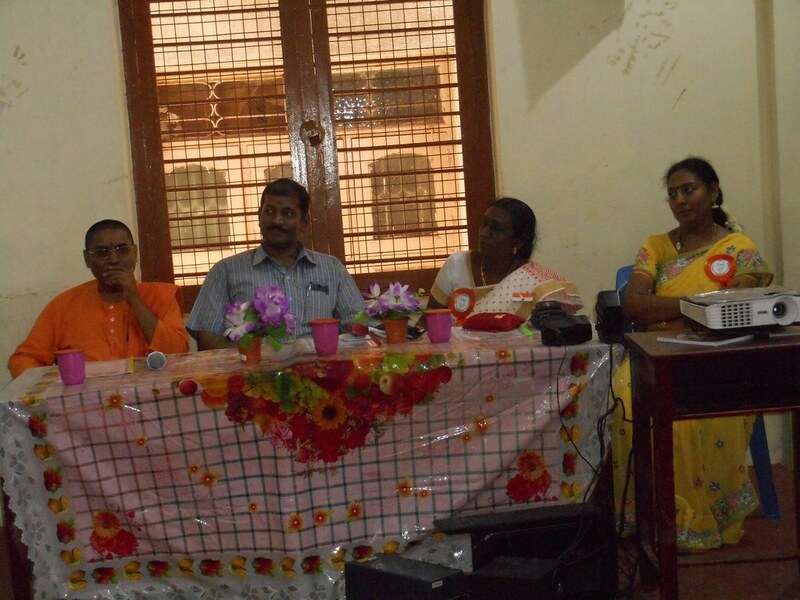 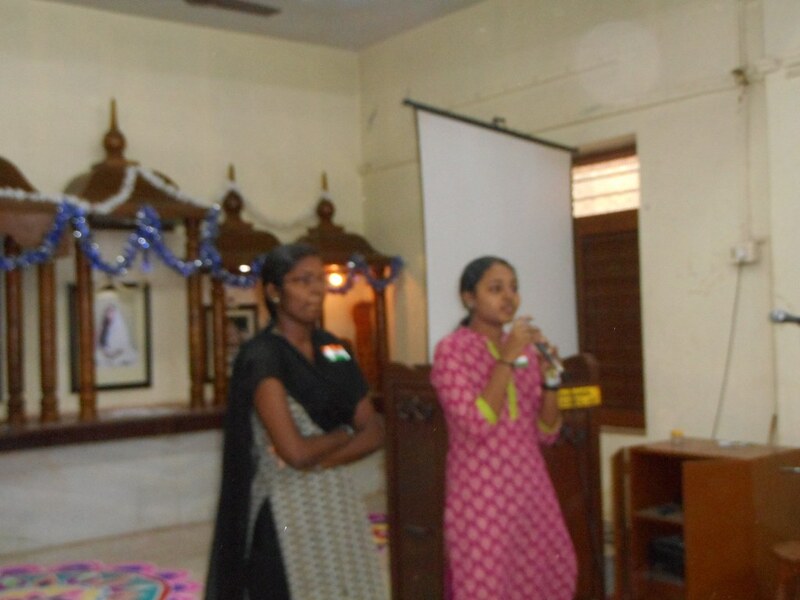 Several old students expressed their past sweet memories and all of them appreciated School, Management and Teachers. 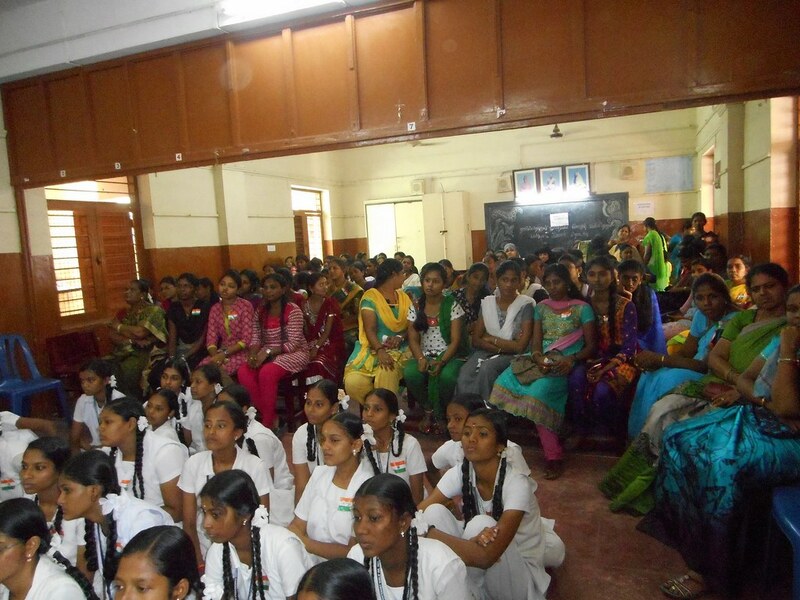 The Whole programme was charming as well as inspiring to the present studying students. 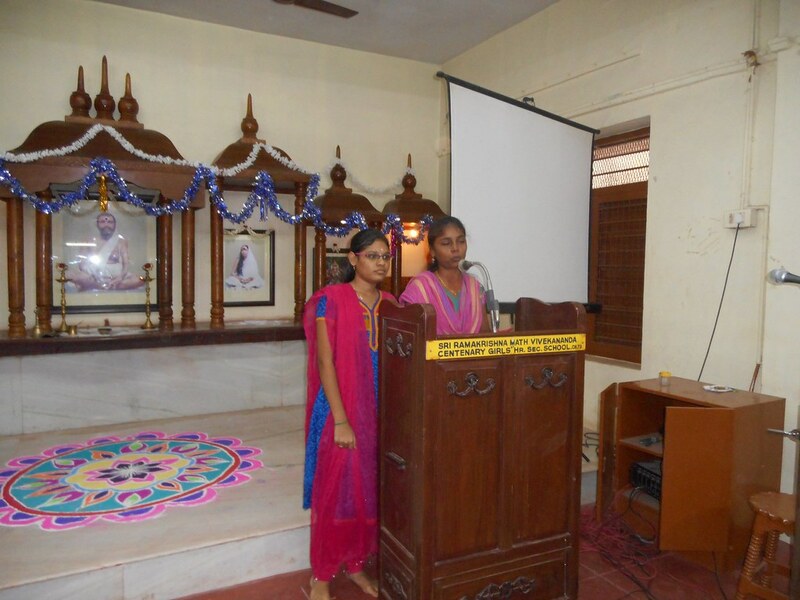 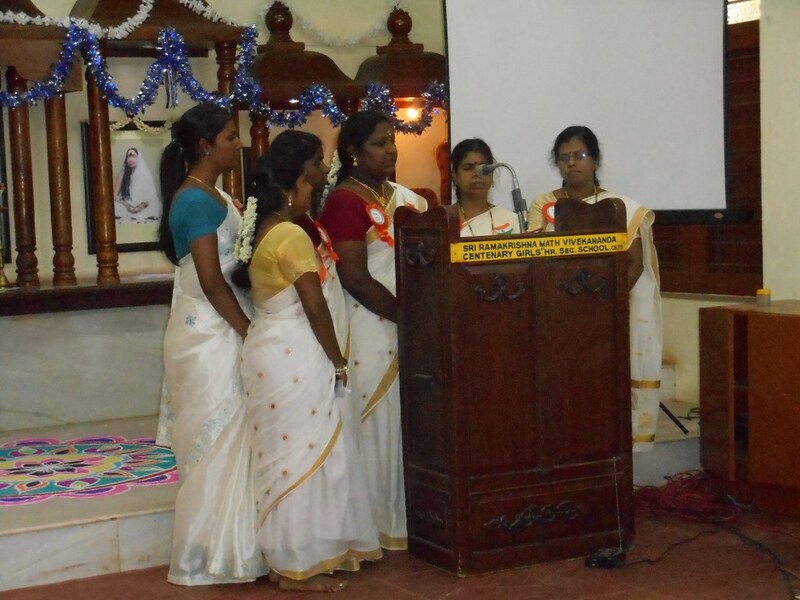 The function came to an end with a vote of Thanks by Selvi R. Kanchana and National Anthem in key Board by Selvi R. Aishwarya and Selvi S.Dhatchayani present student.